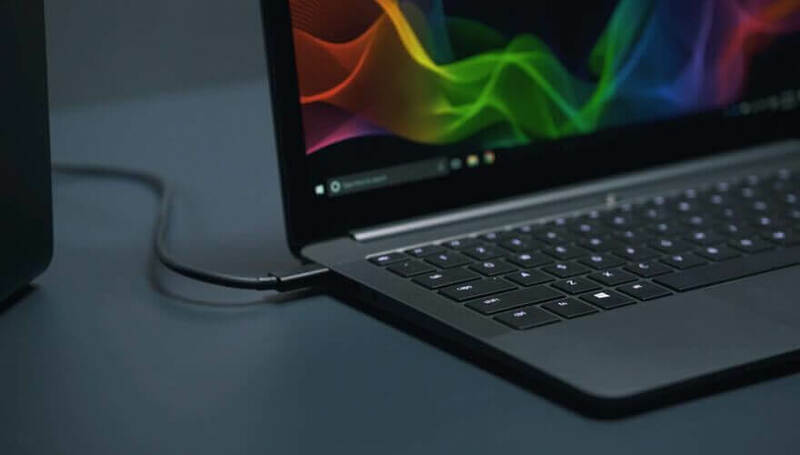 Razer Blade Stealth is an all-new ultrabook crafted with an aim to overcome the flaws in its predecessors. Its predecessor had a stumbling battery life. There was absolutely no option for the upgrades to be made to enhance the performance. It had four gigs of RAM and a dual-core processor. All these configurations made it neither a legitimate gaming machine nor a serious productivity device. So basically it was a complete disaster. However, that is all different now, literally all of it. The new Razer Blade Stealth is just outstanding and crushes all its predecessors into dust. It is ultra light, ultra thin and is definitely an Ultrabook with lots of horsepower under the hood. The 13.3-inch blade hasn’t changed much in the last couple of years, and it is a good thing. Why? Well, because (you might disagree on this with me) but I think its design is damn near perfect. Actually, the whole damn market is flooded with laptops with either dark grey or light grey colors. They look good, but when it comes to the gaming, these colors do not bring out those gaming emotions inside. However, that changes with Razor laptops. The gunmetal grey colored CNC aluminum body looks just damn good. Moreover, when you turn on this machine, the reflections of the lights and the glowing keyboard is just mesmerizing. On the top side, there is a classic Razor’s illuminated logo with some armored accents bumps which kind of gives you a better grip to hold this device. I mean who would like to drop a $1399 machine. The bottom side is slightly lifted with the help of the rubber feet, And it fulfills two essential purposes. The first one is to give the keyboard a proper angle and the second one Is to create some room for the intake fans to assess fresh air. Moreover, the side profile is pretty much the same as that of its predecessor, but it is thinner. 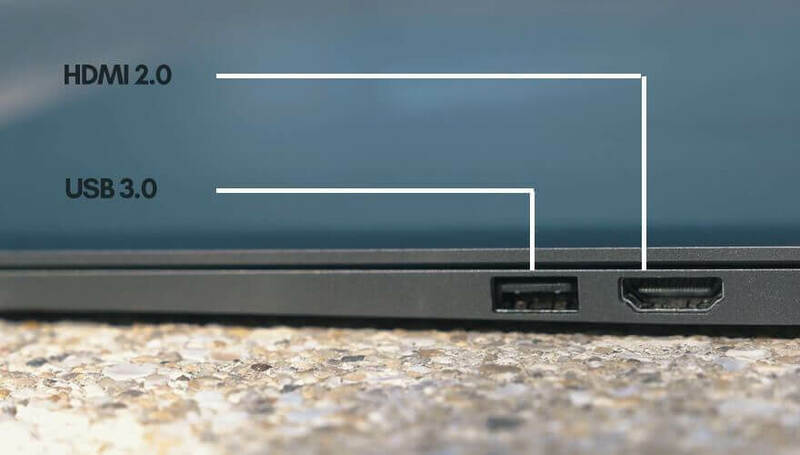 Razor has also tried to cramp in what is relatively generous input/output ports for a thin and light laptop. As for the input-output ports on the right-hand side, you get an HDMI 2.0 port and one ultrafast USB 3.0 port. 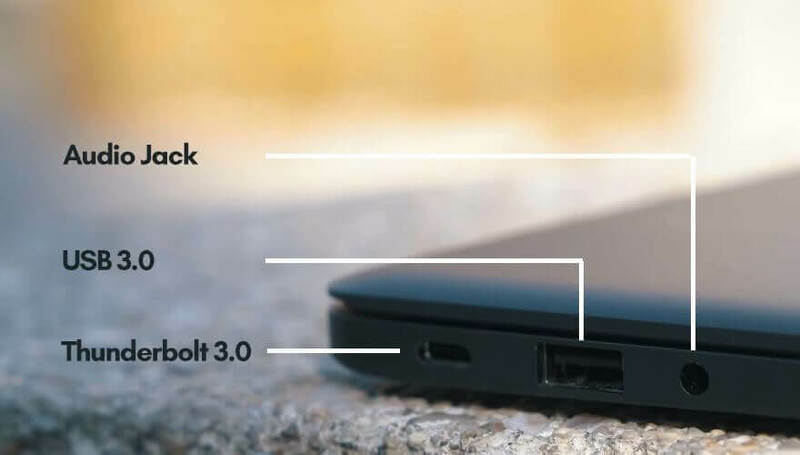 On the left-hand side, you get access to one another ultra-fast USB 3.0 port, a Thunderbird 3.0 port, and 2-in1 audio jack. Also, I should mention that this device can be charged only through the Thunderbolt port. Talking about the build quality, the whole thing is quite a sturdy thanks to its body made up of CNC aluminum. It was quite refreshing compared to misuse laptop I have been using for last two years. It is heavier than its predecessors, and the reason behind it is the full aluminum body. I think it is really necessary to mention that razer blade stealth battery life is not “very” good rather I would say its decent. If you are playing games or doing some resource-intensive tasks like video encoding or graphics designing, then you should not expect more than two hours of battery life. However, if you enable the power saving mode and perform basic tasks like Internet browsing, playing videos or listening to your favorite music while coding then you can expect 5 to 7 hours of battery life. Flipping it open, then there’s still not much to dislike about it. The only improvement that is possible is making the business a little bit more thinner, and in that way, it could offer a better display to the user. The power button is neatly placed on the left-hand side top corner, and as you switch on the system, the power button is eliminated by blue light. 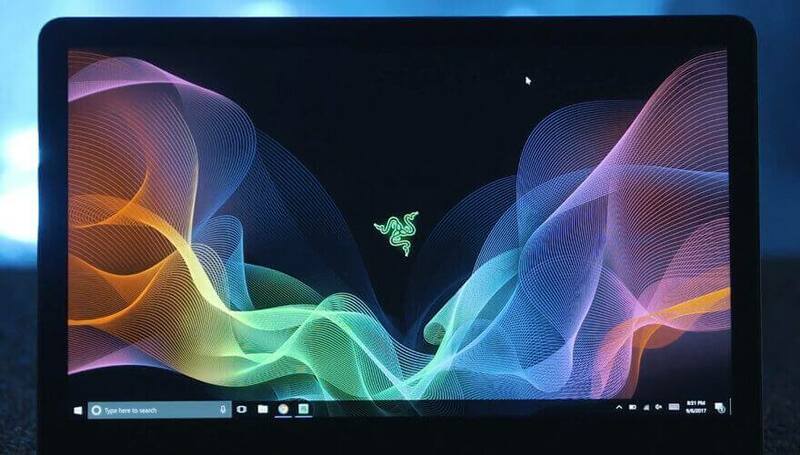 Razer Blade Stealth 13.3 inches model rocks 3200 x 1800, 100% SRGB display. It’s not exactly 4K but it’s close to it. Currently, the 4K display is only available in the 12inch model. Anyway, the screen is shockingly bright and at the same time is a multi-point touchscreen, which further adds to the improvement made in this all-new model. The display is, by all means, a solid performer. I was quite astonished by the graphics and the details which I saw when I played Avatar in almost 4K resolution for the first time in my whole life. I mean I never played anything in 3200 x 1800 resolution mainly because my Asus A555LF could not handle it and my 42-inch Samsung Smart TV has a max supported resolution of 2K. Moreover, the keyboard, speakers, and the full-size trackpad are somewhere between very good and excellent for a device of this class. The trackpad is extremely responsive. It supports windows precision drivers and supports multiple gestures. Furthermore, each in-built gesture is configurable. You can customize how the trackpad should respond when you put two fingers or three fingers or even the palm. Furthermore, it can also automatically detect when the mouse is plugged in and thus deactivating itself. Now talking about the keyboard, in particular, stands out to me. Well because it blows me away that the same company that put such an excellent low-profile keyboard on their notebook series put such a monstrosity on their 17-inch model. Is the razer blade stealth good for gaming? The stealth is not really meant for gaming, and neither company claims it. You see the slogan of Stealth Blade is an ultra thin, ultra light and Ultrabook. However, you really don’t need to worry about it. Thanks to some serious under the hood upgrades there are many ways to game on it. You can expect old AAA titles ( of late 2015, 2016 ) and modern E-sports titles like Dota 2 and Rocket League to run smoothly on this device. 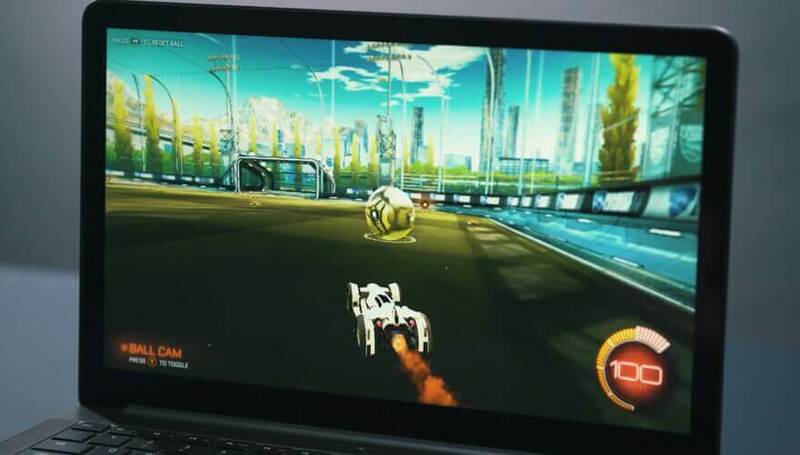 They can run directly utilizing the power of onboard 8th Gen Intel Core i7-8550U GPU. But remember you cannot expect higher frame rates at full graphics settings. Their’s one more important point to note and that is it does not come with a dedicated GPU. As for the connectivity, it comes with Killer™ Wireless-AC (802.11a/b/g/n/ac + Bluetooth® 4.1) Which in my test consistently offered transfer speeds of 40 MBps. You can expect even more from a high-end AC access point. Now let’s talk a bit about the CPU. Razer Blade Stealth currently comes in three different models and offers two different CPUs series from Intel. The higher-end model comes with an 8th Gen Intel® Core™ i7-8550U Processor with Hyper-Threading. It is a quad-core processor and offers the base speed of 1.8 GHz and 4.0 GHz when turbo-boosted. Overall it is a total beast. The next two lower end models come with 7th gen i7-7500U Processor which offer base speed of 2.7 GHz and 3.5 GHz when turbo boost is enabled. It also comes with embedded 16GB RAM dual channel 2133MHz ram. But remember that’s what you get in the $1,449.99 13.3inches model. And trust me, I was floored when I saw the task manager graph. The CPU was turbo boosting to its maximum clock speeds while playing games. I mean yes you cannot expect to get the perfect FPS, but then you must remember that it does not come with dedicated GPU. Now let’s talk about money because it matters the most. 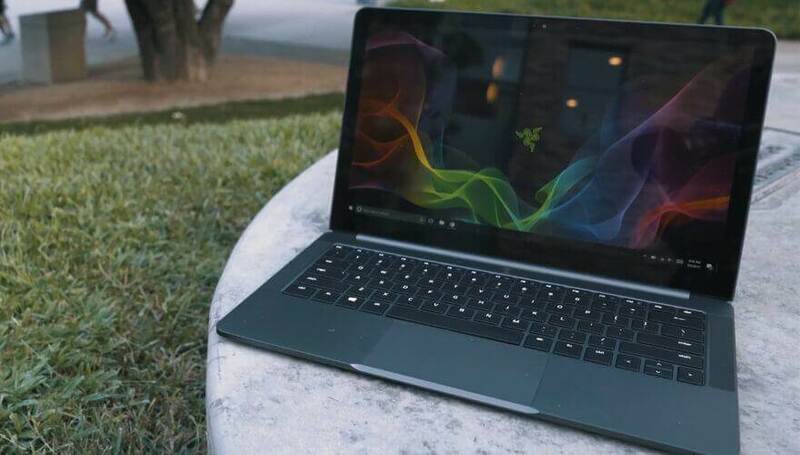 Where the Razer Blade Stealth predecessors were priced at $999 the lowest end 13.3inches model of this notebook with the entry-level configuration is priced at $1,349.99. That is without any dedicated GPU, 7th gen Core i7 processor, and 256 GB SSD storage. Now that is expensive. But there are still various other competitors in the market which have even lower specifications and build quality but are still price higher, for example, Dell XPS 13. So price is not something on which I am going to give razor too much flack about. I mean you are getting hands down, super attractive design, sturdy build quality, and relatively latest configuration. If you are one among those professionals who want a lightweight, sturdy notebook but at the same time want to experience what’s its like to play latest PC games in 4K resolution, then I will suggest you purchase an external GPU enclosure for yourself. With the addition of an external GPU, the Razor Blade Stealth transforms from Ultrabook to an ultra high-end gaming system. Tough, you must remember that EPGU enclosures are not that cheap to buy. But honestly, the onboard graphics is quite more than capable of handling video renderings and graphics editing. The higher-end model of this notebook comes with UHD Graphics 620. UHD Graphics 620 offers maximum core speed of 1150MHz. It also supports DirectX 12 and offers performance comparable to that of NVidia’s GeForce 910M or 920M dedicated GPU. The only thing which really troubles me is the battery life. Although the company claims that this notebook offers 10 hours with the QHD+ display and 7 hours with the 4K display, but personally I don’t think that’s true. With even basic workload you will never get more than 5 hours of battery life with QHD+ display. Lighter than it’s predecessors but still wights 1.351Kg. Chassis is made up of CNC aluminum offering sturdiness. Comes with PCIe M.2 solid state drive which not only means faster response time but also means better usability. It comes with preinstalled Windows 10 operating system. Higher end model has full HD webcam. Integrated GPU offers performance comparable to Nvidia GeForce 920M dedicated GPU. It has two USB 3.0, one Thunderbolt™ 3 port, HDMI 2.0 audio and video port along with combo audio jack. Doesn’t comes with the dedicated graphics card. Expensive, I mean you can custom build a powerful PC at $1399.99. 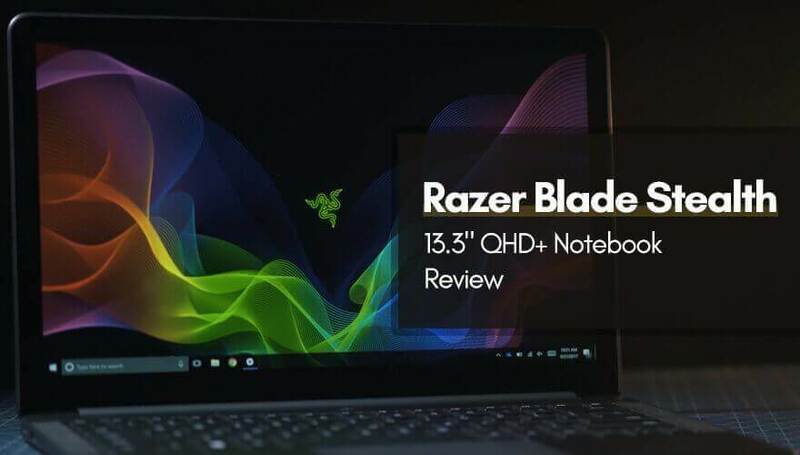 The all new razer blade stealth 13.3 is definitely a great looking, slim and really powerful notebook. It's not a gaming laptop but is powerful enough to let you enjoy old ( 2016 - 2017 ) AAA game titles in mid to low graphics settings. It comes with a powerful 8th generation core i7 processor and 16Gb ram which are more than sufficient to run almost any type of graphics, video editing or educational software. My only concern is its battery life. Even if 100% charged, under extensive workload environment it won't last more than 2-3 hours.